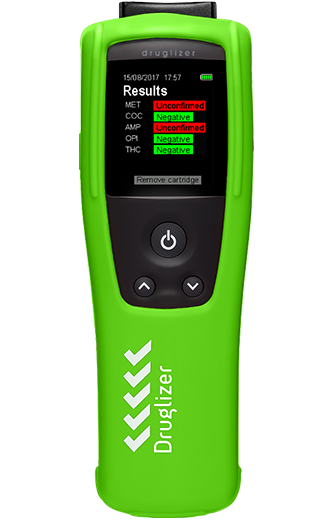 All Druglizer LE5 Drug Testers now require essential firmware upgrades both the Sample Module and Main Module. This page guides you through the steps in order to upgrade them. 1. 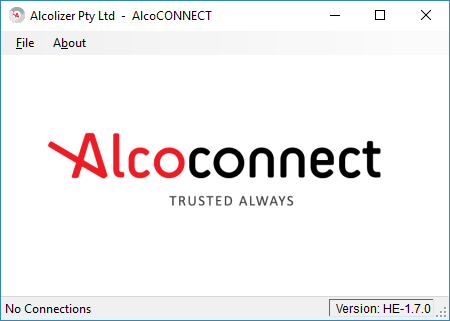 The most recent version of Alcolizer’s AlcoCONNECT™ Toolbox PC software, version V1.7.0 – download here. 3. Ensure your LE5 Drug Tester instrument is charged, fully functional and is turned on. 4. The USB connection cord supplied with your LE5 Drug Tester instrument. 5. Please allow for 10-15 minutes to upgrade the firmware and follow the steps below. Plug the USB cable from the LE5 Drug Tester (via the USB connection port located on the left side of the instrument) to your desktop PC. Ensure the LE5 Drug Tester is turned on. A ‘Firmware Updater’ window will appear. 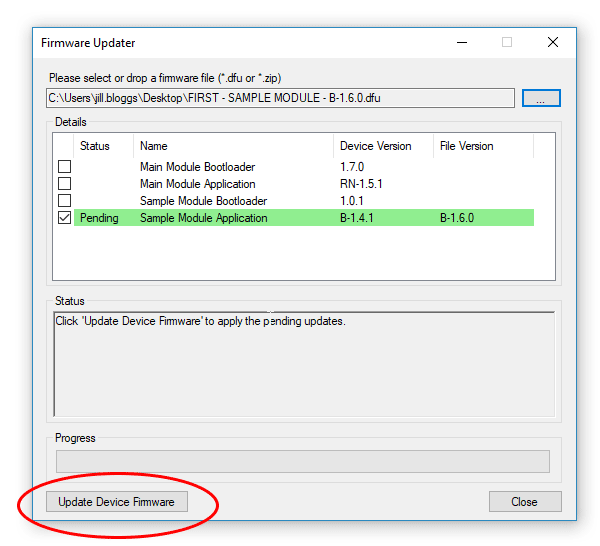 It is preferred that you update the Sample Module firmware first. This firmware will take 5 minutes to install and a successful installation will be confirmed via a beep from the instrument. 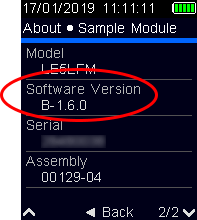 Your computer will display a window for you to locate the first firmware – FIRST – SAMPLE MODULE – B-1.6.0.dfu. 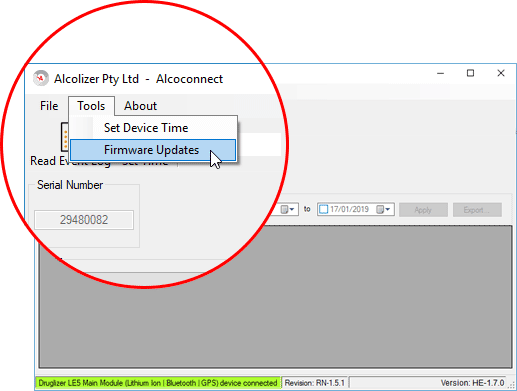 The new firmware file version will be displayed next to the existing firmware. Installation will take about 5 minutes. A bar at the bottom of the window will display progress. The instrument will emit a beep to confirm install completion. If required, remove and reinsert the Sample Module to help reset the instrument. 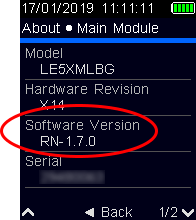 To install the second (Main) module, repeat steps 4 to 6 but select the SECOND – MAIN MODULE – RN-1.7.0.dfu. The Main Module install will take a few seconds to install. 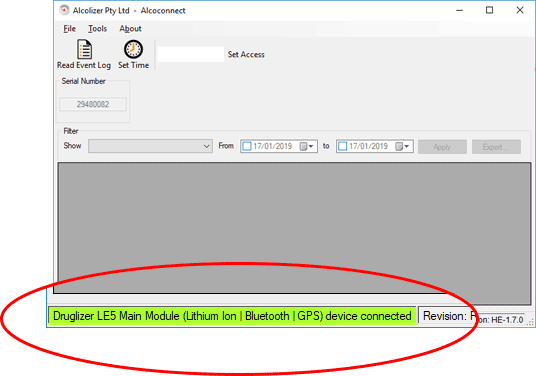 Close AlcoCONNECT™ Toolbox and disconnect the USB cord from the instrument. Open the About screen on your instrument to check the firmware (Software) Versions. If both your software versions reflect those of the two images below then the firmware upgrade is complete. Need help or someone to guide you through the upgrade? Call us now on 1300 789 908.